QUESTION: How do I create a professional sounding audio podcast? We started dabbling in podcasts in April 2005 when we started producing our own show called Avatar Studios Presents. It dealt primarily with jazz music and always featured an interview with an artist we were highlighting. We had a receptionist who had a great voice, so we utilized his talents and he became the host of the show. We did a total of 19 shows and they can still be found on iTunes. The show remains popular in Japan and according to one listener, people were listening to the show as a way to learn and study English. So many of the podcasts that we listened to at the time were very amateurish since the medium was still emerging. I remember one music show host fumbling around to find his music playlist while wondering out aloud where he put it "on the air." It took more than five minutes for the host to play the first tune and it was a music show. We wanted to experiment with this new medium and apply our expertise in producing a professionally sounding podcast. This was even before podcasts were listed and available on iTunes and you had to use online directories such as PodcastAlley and others. With the advent of iTunes 4.9, the medium exploded because of the the podcast directory included in the software that made podcasts easy to find and access. It seems such a long time ago. Today, there are many excellent podcasts on any subject you can think of. They serve as a great learning tool. However, I still get irritated by some of the podcasts that are out there. For example, I listen to a marketing podcast that has fantastic content, but the volume levels of the talking heads are so vastly different that it is virtually impossible to listen to on a subway or a bus. (Many commuters in New York listen to things on their iPods and other portable players). Because of the ambient noise, I have to turn up the volume to hear the speaker talking softly but then the other speaker that is talking loudly becomes too deafening to listen to. I realize the people producing them may not be audio professionals, but don't they listen to their own podcasts? Doing a little volume balancing would greatly enhance the listening experience. Making these podcasts gave me a real appreciation for people who do voiceover work and radio shows. We found that editing the content into what we thought was a quality product takes a lot more time than what you would expect. Besides getting a good recording and taking out ambient noise, you get into tweeking speech patterns, speech cadence / rhythm and spacing between content in the editing process. A typical process would go something like this. First, we would take out some of the lip smacks, throat clearings and "uhms." We were not using professional voiceover talent, so sometimes, this could be a real chore. Then, we would try to space the speech out by taking out pauses so it had a pleasant rhythm, a flow to it without sounding too mechanical. We also tried to get to the featured content without a lot of unnecessary delay at the start and keep the talking brief in between the music. We had to grab the attention of listeners right away, if we were lucky enough to get it at all, with thousands of podcasts out there. We also had to assume that listeners had itchy fingers and very little patience for slow speech and long pauses. The other issue we dealt with, where honestly we fell short, was the frequency in which we released these shows. All this work took a lot of time. We had other jobs to do and we were not exactly generating revenues from this work. The dilemma between our commitment to quality (and depth of content) versus frequency is also common to writing blogs as well. The desire to publish well thought out or well produced content versus putting content out at the rate you think the audience expects or demands it is something I struggle with while working on this blog. You try to settle into a realistic schedule and keep to it. The work of creating a podcast is tedious and requires a certain kind of conscientiousness. We used to test an intern or production assistant by giving them the task of editing a spoken track for the podcast. We would instruct that person with some guidelines and past examples. It is always interesting to see the wide variation in quality of what we get back from these exercises. It really shows what notion of quality that person has. The work is not as easy or as trivial as one would think, especially someone starting out in audio engineering. There are now new amazing tools to make this process go faster. One such tool is iZotope RX, which is excellent for isolating and taking out background noises. The software shows you a graphical representation of a recorded track on a frequency versus time plot and the acoustical characteristics are displayed by density of color. Noise can be found in regions where it is mostly devoid of color with slight scattering of color. By deleting these regions and listening back to confirm, hard to take out noise can easily eliminated. It uses the same technology that takes out the sound of page turns out of string session recordings. With these new tools, the only limitation is the time you want to spend and where you draw the line to achieve results to get acceptable / listenable / enjoyable audio quality. Speaking of podcasts and how much time it takes to produce one, we started a new one. It is called Oral Studio History. It is a podcast that documents and presents spoken personal history of recording and studios as told by seasoned music industry professionals. I have always enjoyed listening to stories told by artists, engineers and producers who come to the studio and wanted to preserve some of them and be able to share them with those who have an interest in what happens at recording studios. The first installment features Malcolm Addey and his years at Abbey Road Studios, Bell Sound Recording and A&R Studios. And if there is someone willing to sponsor the podcast, we'll gladly do more shows. Anyone? QUESTION: How should I conduct a recording session in these trying financial times? We realize these are difficult economic times and you are trying to stretch your recording dollars. Here are some suggestions on how to get as much out of your session as possible. Needless to say, planning and organization are two key elements in this effort. Being able to do things last minute in an unbooked room will save you some money. If that is an option for you logistically, then you just have to be that much prepared to be able to pull it off, which means planning everything out and being able to execute at a moment's notice. Let the studio manager know that you are interested in such an arrangement (ask to be contacted whenever something opens up) and keep in touch. A little bit of patience and perseverance might save you some dough. Whether you book the last minute or not, you still want to discuss your need in detail with the studio manager. Ask for suggestions on how to make efficient use of your time. If you know that the schedule is going to be very tight, let the studio manager know. When the studio knows that you need to work fast, they can make arrangements to do so. However, you want to make sure you are well prepared and not be the bottleneck. Rehearse or gig heavily before entering the studio. If needed, have charts written out, copied, collated and ready to go. You don't want musicians waiting for copies to be made on your dime. Even better, give a copy to the musicians beforehand, if possible. In order to maximize your time in the studio, plan out the logistics of your session. Come up with a rough schedule and think about the order of the tracks, the personnel / instrumentation needed, the difficulty level of the song (do it earlier in the day), when to break for meals (and when to order them). If you need help on the day of the session, hire someone or bring along a friend who is really good at organizing and coordinating stuff in the background. Be ready to make decisions on when to move on to the next song. Think about bringing someone, perhaps a producer friend, whose decision you trust to help you. When scheduling, make sure you leave yourself some wiggle room. You might want to designate a timekeeper to track progress and to make sure you know when you have gone over your allotted time. In a lockout situation, you want to avoid overtime. Hire good talent, whether it is musicians or engineers, who can work fast and save you time, but still maintain quality. If you need recommendations, ask around - ask the studio manager, the engineer, ask for names of people you can ask. 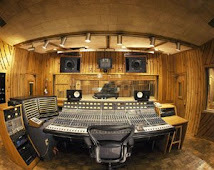 One alternative might be to ask the studio for in-house talent who can engineer the session for you. At various stages of preparation, consult with the studio manager, (especially) your producer and engineer and get their input. Pick their brains and involve them iteratively in the planning process. Make sure they understand what you are trying to do and achieve. Quality of a performance is very subjective, but try to fix things on the spot as much as possible instead of fixing it later. It might not be obvious at this stage, but most of the time, doing things right will save you time and effort later on when you edit or mix. Make sure you take or ask for detailed notes on what you have recorded. The time you take to do this will save you many painful hours later when you have to find what you want to edit or mix. A little organization goes a long way. This topic was discussed in detail in an earlier post. To save costs, try a potluck for your meals. Recruit your spouses, friends, fans, ...etc. The meals and the experience might turn out better. Some of the topics may have been covered before in previous postings, but I thought it would be useful to have them here in one place. By the way, everything mentioned above is applicable even when we are not in a recession.